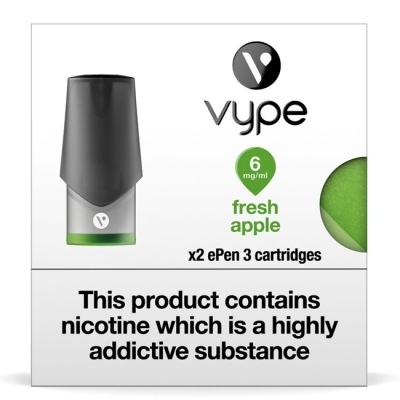 The Vype ePen 3 Fresh Apple Pods (Pack of 2 Refill Cartridges) are designed for use with the Vype ePen 3 device, and deliver the nicotine equivalent of 40 traditional cigarettes. Two ePen 3 Refill Pods, featuring a convenient click-fit design, are provided as a sweet and refreshing flavour combo of green apples and mint, and are available in four nicotine strengths including a nicotine-free option. Are There Different Nicotine Strengths Available? Which Device Is Compatible with These Pods? 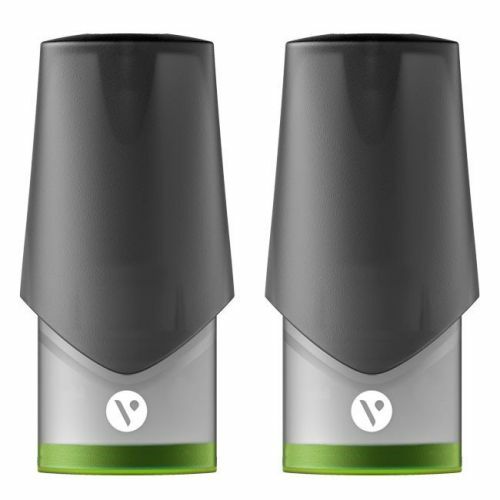 The Vype ePen 3 pods have been designed specifically to fit the Vype ePen 3 device, which is also available from Vape Mountain. This ensures you receive the best possible vaping experience. How Do I Replace an ePen 3 Pod? The Vype ePen 3 requires no refilling, which means no spillages and no mess. All you need to do is pull the old pod from the device, and click a new pod into place. How Much E-Liquid Does One Pod Hold? Each Vype ePen 3 pod holds 2ml of e-liquid. This delivers over 200 puffs in laboratory testing, which is the equivalent of approximately 20 cigarettes. The number of puffs in real life depends upon your vaping behaviour. What Are the Ingredients of My Vype ePen 3 Pods? E-liquid in ePen 3 pods contains propylene glycol (PG), glycerol (VG), water, nicotine and carefully selected flavourings. These have been formulated specifically for the Vype 3 device to offer a satisfying vapour experience. What Is the VG/PG Ratio of ePen 3 E-Liquid? All Vype e-liquids are made with the highest quality ingredients, and VG/PG ratios have been developed bespoke to Vype devices to ensure you get optimum vapour and performance from your device. Vype ePen 3 Fresh Apple Pods are marked as Medium VG/PG, which means that they contain between 36% and 59% of both VG and PG. Will the Vype ePen 3 Pods Fit the Classic Vype ePen? No, unfortunately they won't. The Vype ePen 3 pods have been designed specifically to fit Vype ePen 3. Where Can I Get a Vype ePen 3? 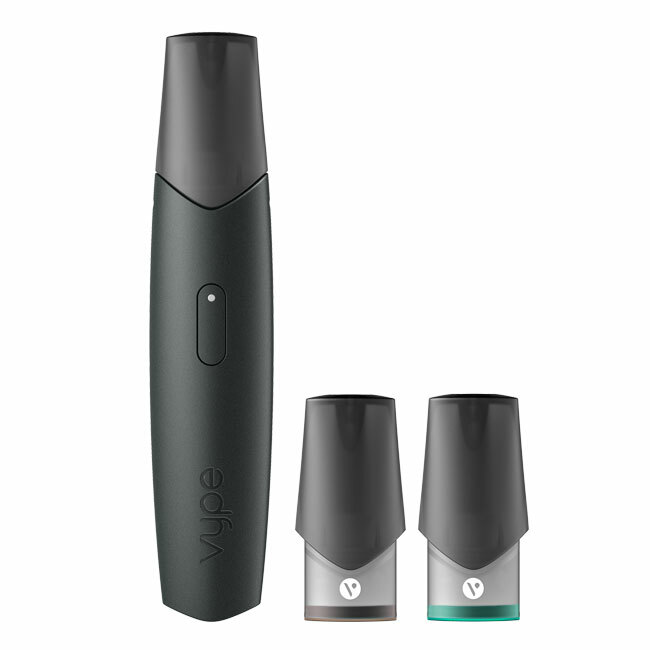 You can purchase the Vype ePen 3 right here at Vape Mountain, as part of a Starter Kit. This means you get the new and improved vaping device with a micro USB charging cable, plus two extra pods to start vaping straight away. Are There Any Other Flavours Available? Please be aware that this product contains nicotine, a highly addictive substance. E-cigarettes are not intended as an aid to smoking cessation and should not be used as such. They are intended only as an alternative to other tobacco products. 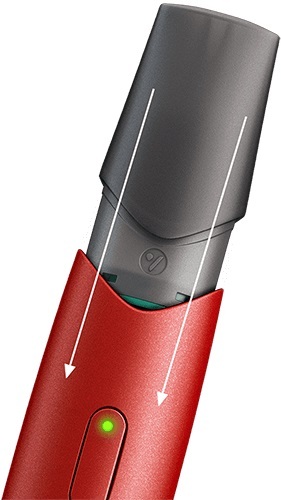 Please note that Vype ePen 3 Pods are only compatible with the new ePen 3 device. To ensure that our customers receive nothing but the best possible products, we must insist that all E-Cigarette refills are returned in their original packaging. Once the original packaging has been broken, we are unable to guarantee the quality and integrity of the product and it is therefore unsuitable for resale. Returns are accepted if the product is returned in a resellable condition, in its original packaging within fourteen days of the product being received. For more information on our returns policy, please visit our returns page. Alternatively, please contact our customer care team on 020 7501 1108 for any questions you might have. Please Note: Our returns policy does not affect your statutory rights as a consumer.